I spent all of last winter moaning and feeling sorry for myself because I was sooo cold. But this year I realized that I really should DO something about it (and no, that doesn’t involve turning up the thermostat, although I would be glad to do it if I could!). So I’m on a CAMPAIGN. I bought thicker socks. I am wearing long underwear under my sweatshirt under my cardigan. My winter pajamas are WAY heavier, and I dug out the flannel sheets from storage. If worse comes to worse, I could always wear a hat to bed, along with a turtleneck dickie! 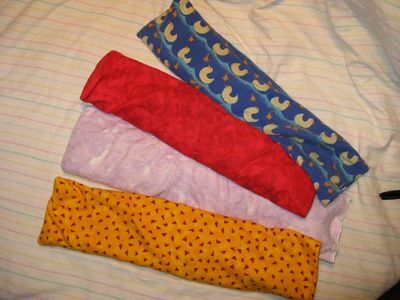 Truly, though, as part of the Homemade~Handmade Christmas Carnival going on over at Antique Mommy, I want to tell you about something I create that makes winter feel so much more lovely: we simply call them Microwavable Rice Bags. We use them all the time, they are easy to make, and they are great to give away as gifts. My husband has one at home AND one at the office. 1. 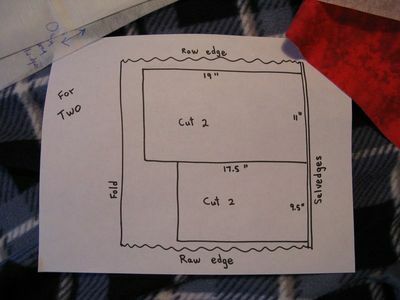 Cut a rectangle of 9 1/2 ” by 17 1/2 ” for the inside bag. 2. Cut a rectangle of 11″ by 19″ for the cover. 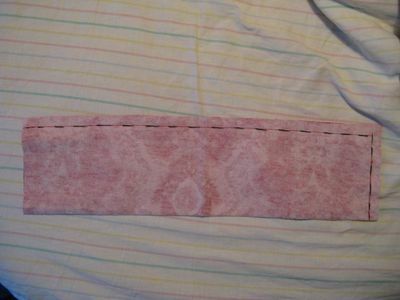 When sewing, use 1/2 ” seams. 1. Fold the first rectangle in half, right sides together (it will then be 9 1/2″ by 8 3/4″). Starting at the short edge, sew closed one short edge and the remaining long edge. Leave one short edge open. 2. Clip the pointy corners and turn right-side out. Iron the side seam if you want to, but it’s not necessary. 3. Fill the bag with rice to 10 1/2″ full; that is, when holding the bag closed with your hand, the bag is full for 10 1/2″ from your fingers. 4. 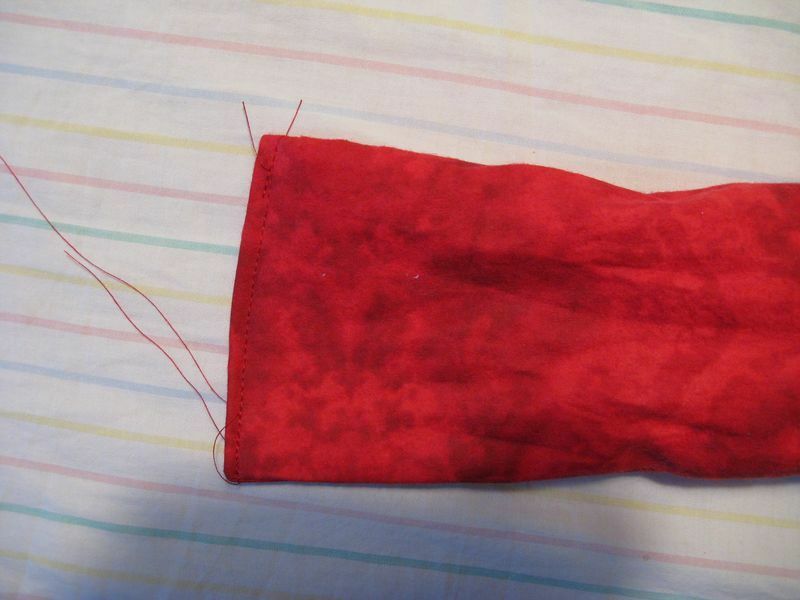 Sew the opening closed: fold in 1/2″ all the way around the opening and then stitch it closed. 1. 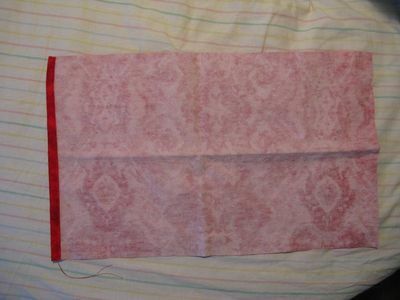 Using the second rectangle, turn under (hem) the raw edges of the end that will be an opening, this way: on one side that is 11″ long, turn the fabric under 1/4″ and then 1/4″ again. Stitch to make the hem. 2. Fold the rectangle in half, right sides together (it will then be 11″ by 9 1/2 “). Starting at the short edge that was not hemmed, sew closed one short edge and the remaining long edge. 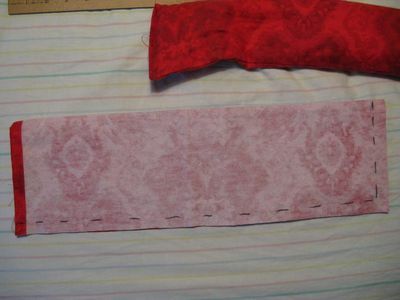 Leave one short edge (the hemmed one) open. 3. Turn it right-side out and stuff the rice bag inside! Options: In the past, I cut the cover to be 11 X 19 1/2″ and then I would sew velcro on the hemmed opening so that it would close. I don’t do that anymore–it seems to be just fine as it is. Also, you can add some cinnamon with the rice for fragrance. 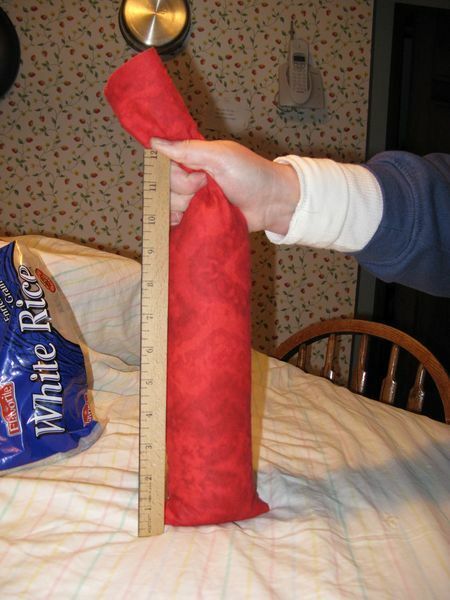 THERAPUTIC RICE BAG–Heat in microwave on high for 1 1/2 to 2 minutes. Not recommended for small children.